There are some stories that make me want to be a better journalist, stories that get at the heart of what good journalists do — expose wrongdoings, shed light on truth and create change. Lane DeGregory‘s latest story, “Girl in the Window,” does all this and more. The St. Petersburg (Fla.) Times story is about 9-year-old Dani, a feral child who was seriously neglected by her biological mother, practically left to die in a small room infested with feces and thousands of German cockroaches. But this story is about so much more than neglect. It’s about what it means to let love into your life, to communicate without words, to be lost even after you’ve been found. DeGregory collaborated with St. Pete Times photographer Melissa Lyttle, whose photos add a three- dimensional element to the written story while telling a tale of their own. 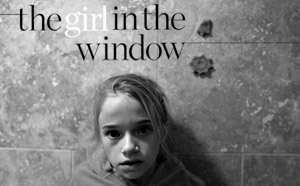 “The Girl in the Window” package is proof that the world is full of stories waiting to be found. I hope that even despite buyouts and layoffs, news organizations will find room for longer narratives that capture the kind of details that DeGregory describes. Yes, journalists are asked to write concisely, and now more than ever stories need to be short, but there’s something especially valuable about long narratives. They let the reader know: We care about telling stories, and even though our news organization might be trimming our staff, we’re not trimming our coverage. We still care enough to dedicate an entire Sunday section to one story because we know that stories matter. People matter. And, yes, good journalism still matters. “The Girl in the Window” is the type of story that illustrates truth, while instructing and inspiring audiences. It’s proof that the world needs storytellers like DeGregory and Lyttle, and that journalism needs them, too.